RK Pachnanda is a 1983-batch police officer of the West Bengal cadre. New Delhi: Senior IPS officer R K Pachnanda took charge as the chief of the Indo-China border guarding force ITBP on Friday. 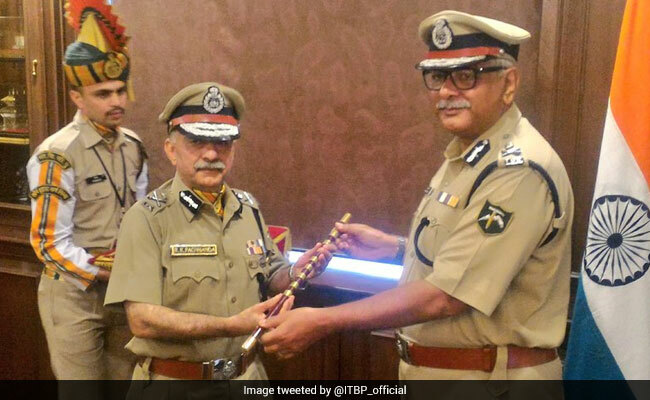 The Indian Police Service (IPS) officer will head the paramilitary force, raised in 1962, for over a year till he retires in October next year. Prior to his appointment as the ITBP chief, he was serving as the DG of the National Disaster Response Force (NDRF). Son of an army officer, Mr Pachnanda has also served in various capacities in his cadre state of West Bengal. The ITBP is also witnessing a major enhancement and development of its border posts and frontier roads along the Sino-Indian border, a number of which are in the Himalayan ranges. The force, raised in the aftermath of the 1962 Chinese aggression, works under the command of the Union home ministry. Earlier, the outgoing DG was accorded a farewell parade at the force's camp in Greater Noida. Apart from its primary task of guarding the 3,488-km border, where ITBP troops are deployed at freezing heights of up to 18,700 feet, the paramilitary is tasked with rendering a variety of duties in the internal security domain including undertaking anti-Naxal operations in Chhattisgarh.